Your most expensive asset is most likely your home or other building you own. 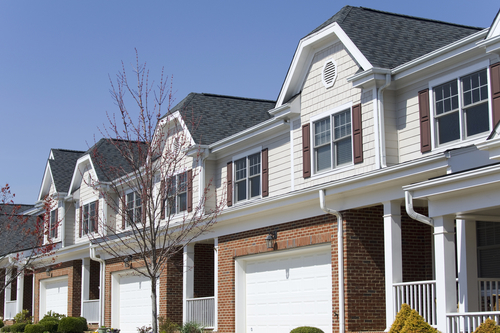 Gutters and downspouts are an important and integral part in protecting this asset and Bel Air Gutter & Siding is proud to help you maintain and protect your home. While water is life giving, it can also do a lot of damage if not handled properly. Gutters and downspouts are very important in keeping water out of your house and moving the water away from the foundation. Most people don't pay that much attention to gutters because they just blend in. However, if something is wrong and you start getting water in the wrong places, people notice, because water can do a lot of damage in a very short time. Gutters don't last forever, so if you need to have yours replaced, please contact Bel Air Gutter & Siding for a price. We naturally also work with people building new homes and buildings who need to install gutters. There are different styles and materials that you can choose from. 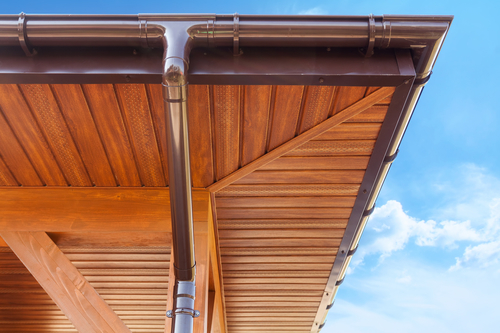 Usually gutters are made of copper or seamless aluminum. The aluminum gutters are available in a number of different colors. The gutter shapes include half round and K style which are the more angular ones. The K style is similar to a style called Ogee. Whether Bel Air Gutter & Siding is installing or replacing commercial or residential gutters, several things make a big difference on how long they will last and how well they will function. How Gutters are Hung - You want to make sure that a company isn't cutting corners by spacing the hanging brackets too far apart and using light brackets. The gutters will last longer and be less likely to be damaged by snow if heavy duty brackets are used and spaced twelve to twenty inches apart. 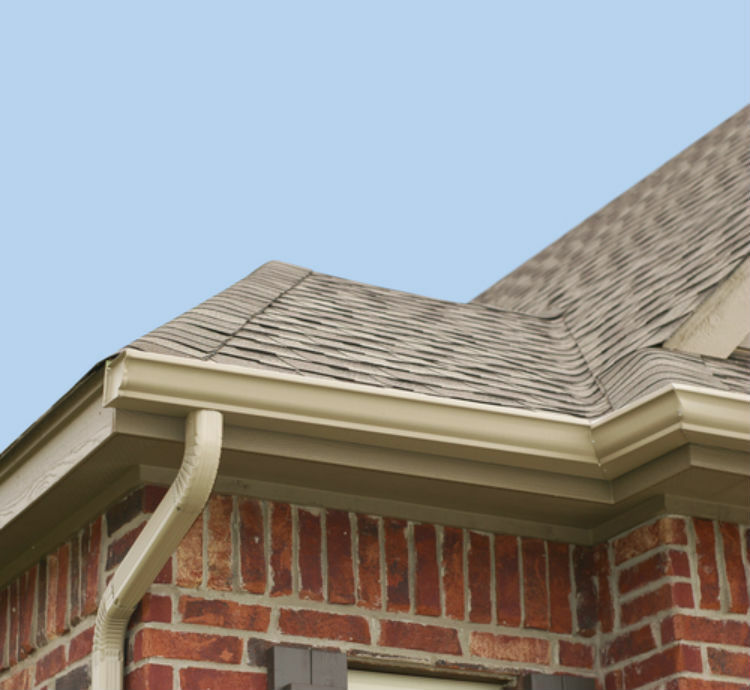 Proper Gutter Size - It is probably something you have never thought about but the system needs to be properly designed to handle the water coming off the roof. The gutters need to be large enough to handle the rain coming off the roof in a heavy rainstorm. Otherwise you might as well not have gutters. Downspout Size & Number - You also need to have the right number and size and spacing of the downspouts. Even if the gutters are big enough, without the right setup of downspouts you can still end up with the gutters overflowing in a downpour. Although some gutters were copper, most were galvanized steel. As the coat of galvanizing wore off, the steel would rust through and you would need a whole new set of gutters. 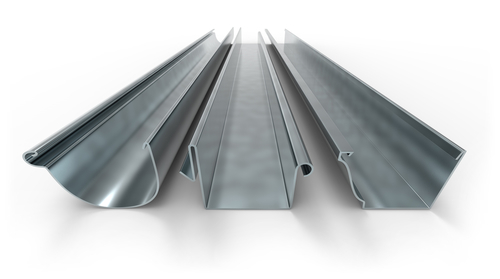 Today, most gutters are aluminum. No worries about rust. If aluminum gutters and downspouts are cleaned and repaired on a regular basis, they should lase 20 or 30 years or more. You have a choice of shape, half round or K style and also of color. You have your basic white and off-white but there are a number of other choices as well. You can chose a color that goes with the overall color scheme of your house. Copper gutters are more expensive than aluminum but are beautiful. When they are first installed they are a bright shiny copper color. They start to change and darken and within a year or perhaps less will get darker to a dark bronze color. Over time they will get highlights of green patina. ​Copper gutters will last even longer than aluminum gutters. You can expect them to last on the order of 50 years or more. Residential jobs typically use a 16 ounce thickness and commercial usually uses 20 ounce. We do residential work for homeowners but we also do a lot of jobs for contractors, rehabbers, landlords, builders and architects. To have us come out and make a bid on a job for your business or your home anywhere in the Bel Air, MD area or surrounding areas, really anywhere in Harford County, Maryland, just fill out the form at the top of the page or call the number below.